Are you one of those for whom only perfection will do? If you are a perfectionist then the chances are that are driving everyone around you bonkers and giving yourself a hard time too. 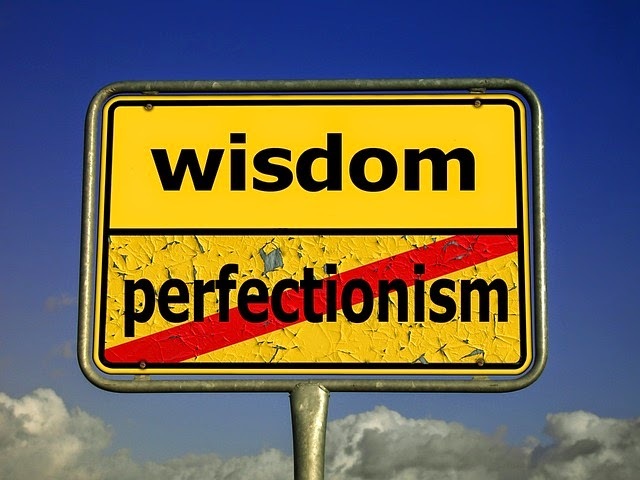 Stop wasting your time and read these ten good reasons why being a perfectionist will do you no good at all. 1. It’s bad for your health. If nothing less than perfect is good enough for you then you are probably sending your stress levels sky high. Fussing over the minutiae and never being satisfied with your own work will only raise your blood pressure and that could lead to more serious health problems like stroke or heart disease. Being around a perfectionist is no fun, no fun at all. They're always fussing over this, or making final tweaks to that. While you are busy being so perfect, your friends are getting bored with it, so quit the perfectionism now and you’ll be able to keep more friend’s. Being a perfectionist means that nothing will ever be good enough for you. Going through life thinking that everything is sub-standard will only bring you down and make you feel depressed. Here’s the fun in assuming that everything you do could have been done better? Being creative means sometimes taking a risk and a perfectionist is hardly ever going to be a risk taker. When you decorate a room, all the paintwork may well be cut in perfectly, but then it is probably all brilliant white and magnolia too! Try forgetting the perfection, once in a while and go with what makes you feel good instead! A drive for perfection in everything will take the fun out of the simple pleasures in life. You will probably find holes in the plots of movies or spot the continuity mistakes. In fact, you’ll be so busy doing this that you’ll forget to enjoy the movie. Perfectionism and pessimism go hand in hand. After all, you are starting from a position that you expect nothing to be right. You are striving for something that you simply can’t achieve, so you are bound to come to expect disappointment. If every project you start is never quite prefect, then you will always begin back to it to try and make that little bit better. You’ll end up with a hundred projects that are not yet finished with and you won’t get any satisfaction from that at all. A perfectionist is also usually pretty good at procrastinating too. Most things that we are faced don’t have a perfect solution, so you will begin to avoid taking decisions rather than face an imperfect situation. It’s quite likely too that your quest for everything perfect is taking over your life. You could find that you spend so much time on the finer details that you forget to spend time with your family and friends. You can’t be perfect, it’s an impossible dream. Human beings just aren’t perfect; we make mistakes all the time. Learn that doing your best is what really counts and leave perfection to someone else because you have better things in your life to be doing than striving for perfection.